For three generations the art of cutting colored stones has been an integral part of our identity and dedication to quality. Discover the secrets behind our AZEERA Gems as we go through each stage of the cutting process. In this video, we look at the different natural forms of gemstones mined from the earth and discuss the significance of selecting quality source materials. During every stage of the cutting process, bits of rough are slowly carved away from what becomes the final gemstone. Here we describe separating the bulk of the raw material during the cutting process. In the preforming process we see the gem beginning to take shape and the main tool used to craft the gem. 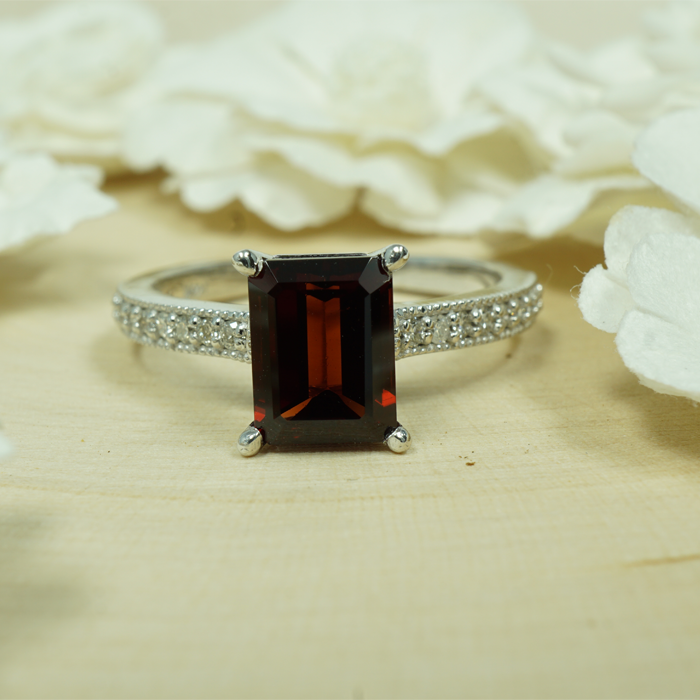 Our smallest gemstones are up to 1 mm in diameter. Working with these small sizes can be especially difficult, so our gem cutters use a tool called a dop to assist them during the cutting process. In this video, we see how the dop is set up. In this video, we look at the precision cutting techniques and the delicate care required to create AZEERA Gems. One of the most important steps in the cutting process is quality control. Here we see how every stone cut in our workshop undergoes a detailed inspection to maintain our high standards. At AZEERA, we value precision and the quality of every gem. In this video, we show how our final inspection process maintains our dedication to excellence. Cabochons are rounded surface gemstones that do not have flat facets. Here we demonstrate the cutting techniques used to create this style of gem. The art of fashioning gemstones dates back as far as 3000BCE. Throughout the ages, craftsmen known as lapidary have used a variety of tools including the lap (a rotation platform used in cutting) to transform raw gemstones into works of art. In this video we see a traditional lapidary common to Jaipur shaping a gemstone by hand. Gemstones endure a long process of preparation before they are fully polished and ready to be set into jewelry. Here we see five important stages during the cutting process.